Q: HOW MANY CHANGES CAN I MAKE TO ONE OF YOUR FLOORPLANS? A: That’s the beauty of working with a truly custom or semi custom homebuilder like us – you can literally make as many changes as you want. Want to add square footage, a three-car garage or move a few walls? No problem – we can do that. The amount of changes you make are limited only by your desires. Learn more about our design options. Q: WILL YOUR TEAM COME OUT TO EVALUATE MY FUTURE HOME SITE TO ASSURE IT IS RIGHT FOR MY NEW HOME? A: Absolutely! We will be happy to schedule a lot walk for you – at no cost, or obligation. This is the best way to assure that your home can be situated on your lot the way you want it. 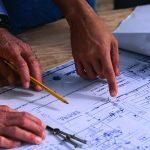 We can also address any concerns or questions you might have about your lot before the actual building of your home takes place to make it as easy and care free as possible. Q: IS THERE ANY COST OR OBLIGATION TO RECEIVE A PRICE QUOTE ON MY NEW HOME? A: Absolutely not! We’ll be happy to schedule time to sit down with you to discuss your needs and dreams as you begin the process of building your dream home. In fact, this is a great time to really get an idea just how much home you can invest in. Our price quotes will spell out every item that affects the cost of your new home. No surprises – just a completely transparent quote for you to take home. Q: HOW DO I BEGIN THE PROCESS? A: One of the first steps is to determine a budget range that works for you. We always recommend talking to an experienced lender to get an idea of a budget that fits you financially. We have preferred lender that we worked with and trust that we are happy to recommend to you. Find out more about our preferred lender. Q: WILL CMS HOMES HANDLE MY SITE WORK FOR ME? A: Unlike some builders that expect you to prepare your site and have it “build ready” before they start – we do all of that for you. Since every lot is different as part of your lot walk and quote we will estimate the costs involved to get your site ready for your new home – but rest assured – all the work will be handled by us. Q: WHAT ADVANTAGES DO YOUR HOMES HAVE OVER USED HOUSES IN THE MARKET PLACE? A: First of all – no compromises! Every new house on the market is going to have something that’s just “not right” for you, something you just have to settle for. With a CMS home, your home will be built exactly the way you want it. 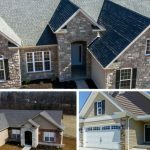 Also new homes are built to current up to date building codes and are more energy efficient and have the latest safety features. Q: DO YOU HAVE MODELS TO TOUR OR HOMES UNDER CONSTRUCTION I CAN WALK THROUGH? A: Yes we have 3 display homes that you can tour to look at the quality of our craftsmanship. In addition we typically have 15-25 homes under construction in various stages. We are happy to have you take a look at these to see what floor plans you like. A: We offer a builders warranty which includes a third party 10 year structural warranty and a full two years on delivery systems of the home. Get more details about our warranty. Q: CAN YOU HELP US FIND LAND IF WE DON’T ALREADY OWN LAND? A: Don’t worry if you don’t have land yet, almost half of our customers did not own land before they came to us. We have valuable relationships with the real-estate community in each of our building areas who will be happy to help you find the perfect lot for your home. Q: DO YOU HAVE IN-HOUSE FINANCING? A: With our Easy Build program all you worry about is getting your permanent loan lined up. We handle the construction financing. 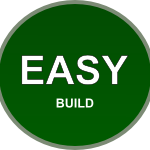 Learn more about the Easy Build program. Q: WHAT’S INCLUDED IN THE BASE PRICE? Q: DO WE HAVE TO BEGIN WITH ONE OF YOUR HOUSE PLANS? A: The process of building your dream home depends on the size of the home and the location of the build. It typically can take about four months from dig to move-in. Q: WHAT TYPE OF LAND DO YOU BUILD ON? A: The best part of being an on-your-lot builder is that we build your home on the location of your choice. The location is up to you, in a rural setting, on a family farm, on a lake, in a development, wherever you choose. 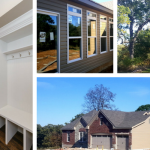 Whether you currently own a site on which to build your new home, are narrowing down your options between multiple sites or are just getting started–we can help you through the custom home building process.